Nowadays it seems that TTL triggers are appearing everywhere, with many relatively unknown Chinese brands popping up with their own version. A few years back, PocketWizard managed to preserve the TTL signal while using shooting with wireless off-camera flash, but this was only reserved for the pros due to their high price. A while after, Pixel and Yongnuo gave more people the opportunity to use this type of triggers thanks to their lower prices. Still, these triggers are more expensive than their non-TTL counterparts. Over the next few years we can expect the prices to go down even more, and one of these cheaper TTL triggers is the Meyin RF-624, which is also the subject of this review. 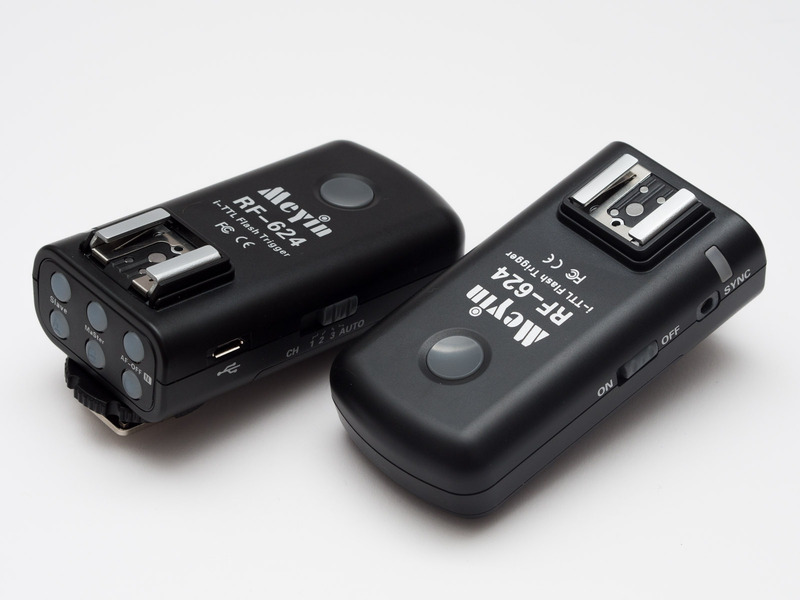 The first time I saw the box of the Meyin RF-624 I had to laugh; I received both the Nikon and the Canon version, but the subtitle on the Canon box reads: “More suitable for Canon cameras”. While this partly true, it did directly show that these triggers were made and engineered in China. It’s a good thing these triggers are just simple ones, because I wouldn’t dare to grab a manual that was included in the box. Despite the Chinese first impressions, the initial impressions of the trigger itself are good. Solid, nice finish and clear functionality. In each set were two transceivers. Each transceiver can be set to master or slave and each slave can be assigned to three different groups, after which on the master trigger it can be decided if that group should fire or not. The six buttons located on the rear of the trigger light up so it is clear in exactly which mode the trigger is set. 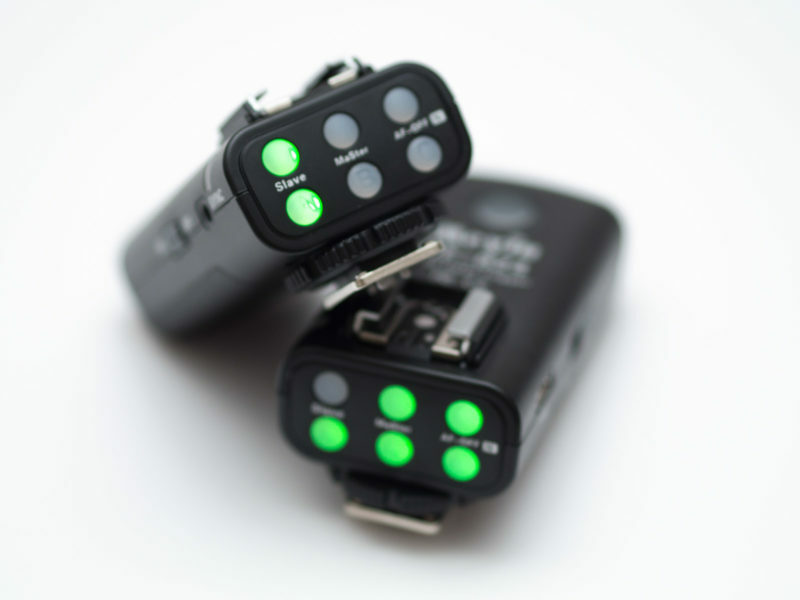 Each transceiver requires two AA batteries to be switched on, which can be done using a sliding on/off button. Besides the six rear buttons there is also one test button to fire the connected flashes manually. Using another button the AF-assist can be either activated or disabled. Since the functionality of the Nikon and Canon triggers is not exactly the same I asked a friend of mine to test the triggers on his Canon camera, while I evaluated the Nikon version using my D800 camera in combination with my SB-800 flash. Although the triggers do not stand out with features, the TTL function does work. It slightly underexposes compared to what I am used from the Pixel King when trying to bounce the flash, but not drastically — it is within 2/3 of a stop. The HSS mode works as well; having used it in combination with my SB-800 and Godox AD360, in both cases the result was as expected. Functions such as the flash exposure compensation, flash exposure lock and rear curtain sync work as well. The only thing that you will be missing is a screen to make adjustments on or setting manual power. For Nikon purposes, the triggers are just a fancy TTL cord, but then cordless. Simple right? Unfortunately the experiences with the Canon version tell a different story. 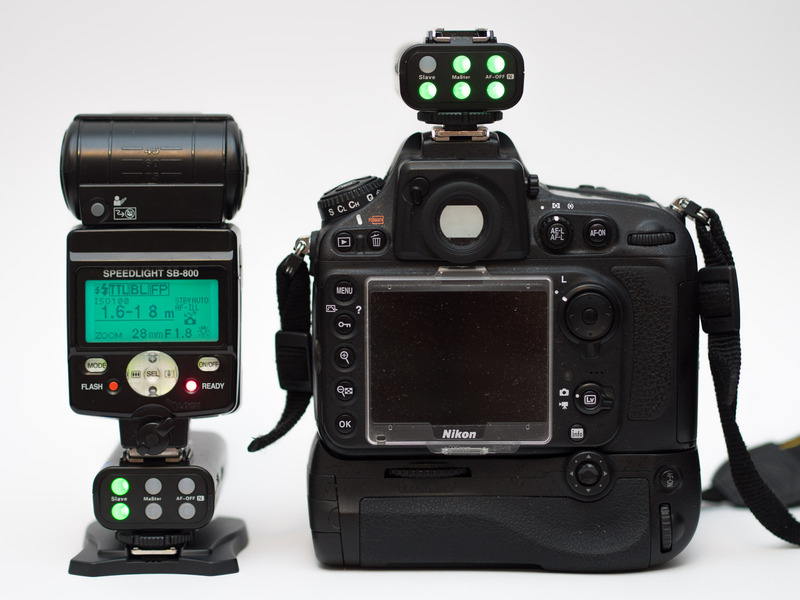 All the functions that do work with the Nikon version work with the Canon version as well, such as TTL, HSS and FEL, but normally Canon cameras are able to do more with wireless triggers. In particular, usually it is possible to adjust flash settings through the camera menu, such as power and the commander mode. It is a shame that the Meyin triggers do not activate this menu, because this is normally where the strengths of Canon bodies with TTL triggers are. With the RF-624 the functionality of the Canon flash system has been greatly reduced. At 50 dollars for a set, these triggers make quite an affordable alternative to manual triggers. Their price point is just below the YN-622 triggers. By saving 30 dollars you lose access to some very useful features that can be used with Canon bodies, such as setting the power through the camera menu. With Nikon cameras this is not a possibility anyway, as you would require a 622N TX or similar to set power, so by opting for the RF-624 instead of the YN-622 you are missing out on less as a Nikon shooter. While they do feature a USB port, I would consider it unlikely they will be releasing firmware updates for the triggers. That said, if you want to spend less money, the Meyin RF-624s are an excellent alternative, assuming you really need the TTL capabilities. There are a lot of alternatives for these triggers, some of them offering more features but none at this price. The Meyin are affordable. One could say they are the cheaper alternative to Yongnuo triggers. Please also note that MeYin do not guarantee compatibility with aftermarket flashes. 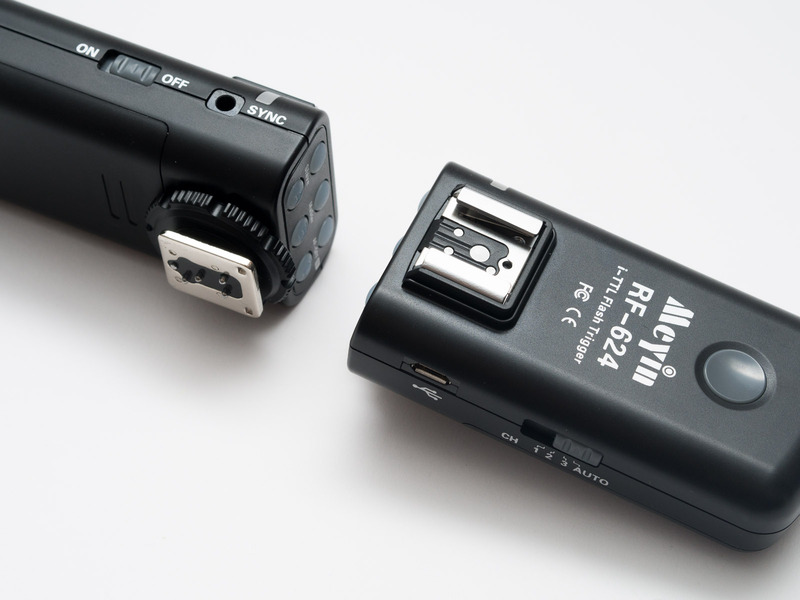 The MeYin RF-624 is available now for Canon and for Nikon, priced around $50 dollars per set on Amazon and eBay. For more information, visit the manufacturer’s web site at www.meyin.net.